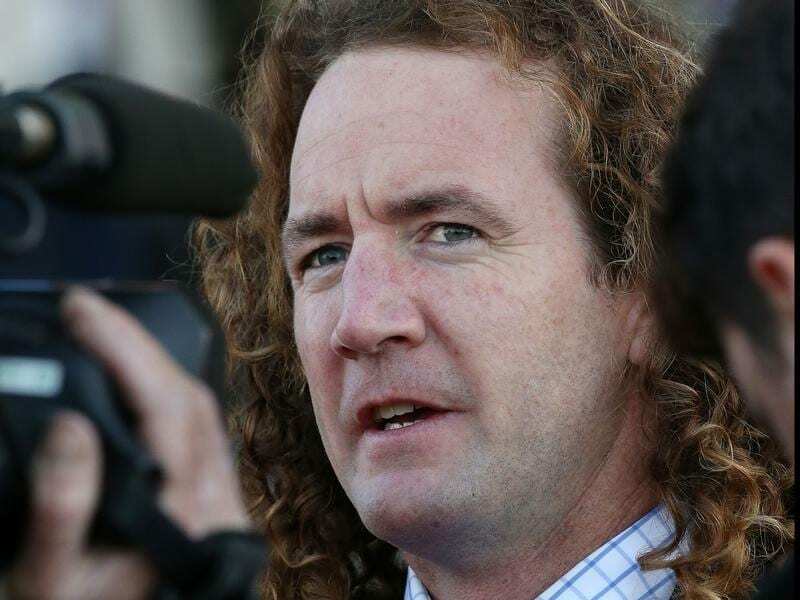 Trainer Ciaron Maher is bullish about Jukebox’s upcoming campaign starting with the John Monash. Jukebox makes his return in Saturday’s 1100m weight-for-age sprint for his first start since his unplaced run in the Group One Coolmore Stud Stakes last spring, won by then stablemate Merchant Navy. Maher started a six-month suspension in October and Jukebox had two starts for Aaron Purcell who took over Maher’s team of horses, finishing second in the Blue Sapphire Stakes before his unplaced run in the Coolmore. “He and Merchant Navy were sort of the two flagship Group colts of the stable,” Maher said. “They have run in similar races. “He (Jukebox) pulled up out of the Coolmore with an injury. “He had a chip removed out of a joint but he’s had a nice break and has come back well. “They were different types of horses. Merchant Navy was always a bit of a sleeper whereas Jukebox was always a really natural horse. Merchant Navy won last month’s Diamond Jubilee for Irish trainer Aidan O’Brien and will soon join the Coolmore Stud roster. “He’s always had that Group One ability and hopefully we can get him into one,” he said. “His preparation has been good,” Maher said. “He’s had a good couple of trials and his work was good on Tuesday.